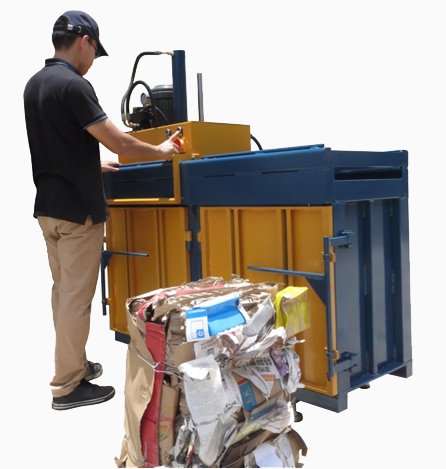 TIMO Vertical Hydraulic Balers can compress the paper, garbage, cans, film, plastic bottles base on the 5:1 rate, strapping after compressed reduce a lot of storage space of the waste, easy to transport, reducing processing costs. ◆ Fixing trash bag outside around the chamber, effectively avoid the trash bag damage in the traditional working way. The baler is particularly suitable for the material that poor rebound resilience, high hardness. 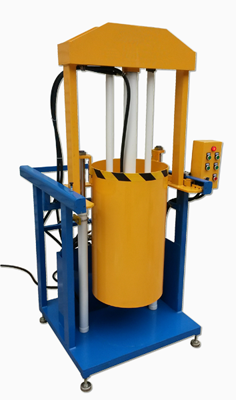 greatly increase the efficiency of the machine. 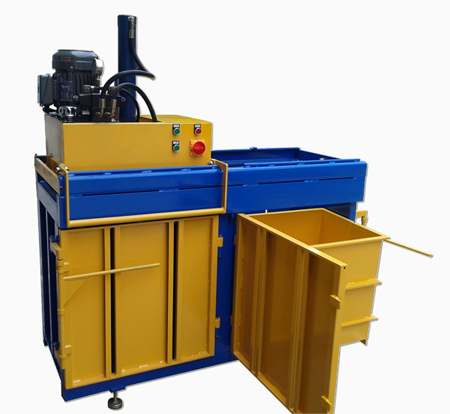 ■ Automatic chain bale ejector for quickly and easily ejecting the bales out from the machine. ■ Compact Dimensions, Can be placed against a wall or in a corner. ■ The ram will stop running downwards when the feeding gate is opened which ensure the safety of the operation. ■ Equipped with independent emergency stop for safe operation. ■ Easy Operation with Push Button Controls. ■ Equipped with Euro and U.S standard anti-rebound gate structure which makes sure the safety of operation.